It’s wartime, and the Carver family decides to leave the capital where they live and move to a small coastal village where they’ve recently bought a home. But from the minute they cross the threshold, strange things begin to happen. In that mysterious house there still lurks the spirit of Jacob, the previous owners’ s A mysterious house harbors an unimaginable secret. . . .
To ask other readers questions about The Prince of Mist, please sign up. no sabia que este libro estubiera en ingles , es un libro increible 100% recomendado . Carlos Ruiz Zafón es un escritos increible ♥♥♥? Emilia Para mi Marina es mejor. El Príncipe de la Niebla es el libro primero de ese autor pues no es tan bien como los libros siguientes. A big change of pace from my nonfiction reading about World War II, The Prince of Mist is a middle grade novel by acclaimed Spanish writer Carlos Ruiz Zafon. I'd read Zafon's The Name of the Wind, a brilliant adult novel blending Gothic horror and magic realism, but I wasn't aware that Zafon actually began his career writing middle grade fantasies. The Prince of Mist was his first book, and it did not disappoint. The war in Europe plays only a background role in the book, much as it does in The L A big change of pace from my nonfiction reading about World War II, The Prince of Mist is a middle grade novel by acclaimed Spanish writer Carlos Ruiz Zafon. I'd read Zafon's The Name of the Wind, a brilliant adult novel blending Gothic horror and magic realism, but I wasn't aware that Zafon actually began his career writing middle grade fantasies. 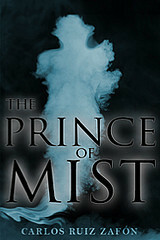 The Prince of Mist was his first book, and it did not disappoint. The war in Europe plays only a background role in the book, much as it does in The Lion, The Witch and the Wardrobe. The Carver family decides to leave their urban home in Spain to escape the war. They move to a small beach town which has more than its share of secrets. Young Max discovers that their new family house was owned by a doctor and his wife, whose son drowned many years before. There is a strange walled garden behind the house, filled with creepy statues of circus performers. There is a shipwreck just off the coast, and a strange old man who runs the town lighthouse. The town clock runs backwards. Strange voices whisper in the house. Max and his sister Alicia soon meet a new friend named Roland, whose parents died in a tragic accident when he was small. Together, the three of them begin to unravel the mystery surrounding the town, which is entwined with an evil force from the past -- an entity known as the Prince of Mist. High praises to the narrator Jonathan Davis.. he did a wonderful job with the narration, specially with Kane. The interview at the audiobook's end was a plus as well:). "Max would never forget that faraway summer when, almost by chance, he discovered magic. " "Years later, as he remembered the scene, his family wandering to and fro with their bags while he sat in a corner clutching the watch his father had given him, Max knew that this was the day he left his childhood behind. " "In the twilight, Max had to strain his eyes to make out what he was seeing. It appeared to be an abandoned garden. A garden of statues. Max was hypnotised by the strange vision of the figures trapped in the undergrowth, locked inside a walled garden that reminded him of a village graveyard. " I will never tire of singing this man's praises, his writing is one of the first ones for me when I am in a funk. It is so easy to sink into his stories and get lost, and this one is no exception. It isn't my favorite of his novels.. I couldn't get as into it even though I enjoyed the story. I remember reading the author's note and afterwards being very impressed with this a first novel. Buen libro. Tiene sus errores, el inicio es bastante lento, el final se me hizo largo, pero tiene ese toque Zafón que tanto me encanta. I wish I had read it when I was 12. This is just the perfect mystery for the young ones. Seriously people, read a Carlos Ruiz Zafon book, asap! His style is unique. "Habrían de pasar muchos años antes de que Max olvidara el verano en que descubrió, casi por casualidad, la magia." Hace ya un rato que quería releer este libro porque DIOS SANTO con la reseña que tenia antes XD Susto al miedo! Ademas quería leer algo bueno y cortito, y que mejor que alguna de las novelas juveniles del gran Carlos Ruiz Zafon? NADA! Me encanta como escribe este autor, de verdad, con el primer párrafo te engancha siempre! Y tiene una forma increíble de revelar los secretos de sus novelas con el paso de las hojas, de a poco en poco. En general, todos sus libros son sobre un personaje que va descubriendo el pasado oscuro de otro por que el destino lo puso en esa situación. Pero Zafon tiene una imaginación increíble y siempre funciona. Al menos conmigo. Ademas que termina siempre de una forma algo triste pero muy linda que no te quitas de la cabeza jamas. Ya saben, ese ultimo párrafo que hace que recuerdes un libro para siempre o se te olvide con el paso de los meses, El Príncipe de la Niebla no es la excepción. Siempre que re acomodo mis libros,etc, vuelvo a releer la increíble forma que tiene Zafon de terminar una historia. Se los juro, es un don. Recomendado si quieres algo con calidad, así de sencillo. Si quieren algo un poco retorcido y oscuro pero corto y ligero lean Marina. Me entran los escalofríos solo de recordarlo. Who would have thought that Zafon, best known for The Shadow of the Wind and The Angel’s Game, started his writing life as a young adult author? Now that he has achieved fame his publisher is bring these back in English translation, some of which won YA awards in Spain. I picked it up without knowing it was a YA book. The story is a spooky mystery based around the main character, a pre-teen boy, his older sister and the boy’s older friend. It is set in a coastal village in Spain just before WW II Who would have thought that Zafon, best known for The Shadow of the Wind and The Angel’s Game, started his writing life as a young adult author? Now that he has achieved fame his publisher is bring these back in English translation, some of which won YA awards in Spain. I picked it up without knowing it was a YA book. The story is a spooky mystery based around the main character, a pre-teen boy, his older sister and the boy’s older friend. It is set in a coastal village in Spain just before WW II. So within the first few pages we have a railway station clock running backwards. And I thought – “I get it – Harry Potter!” And it was very Harry Potterish. With the war pending, the boy’s father decides to move the family out of the big city to a coastal village. At first the family is unaware that the last boy who lived in that house drowned. We have a sunken ship in shallow water that the kids dive to and pick up treasures; a cemetery of circus freak statues that move and change position; an evil cat that sends a little girl into a coma; an ancient mariner who built his own lighthouse; an old film projector in the basement and old films that start showing current events. Of course the boy’s sister and the older friend fall in love. You don’t read a YA book for its literary value, so you get some clichés and lame analogies, like this on page 2 when the boy learns they are going to move: “To him, the news felt like a mad steam train hurtling through a china shop. His mind went blank, his mouth sagged, and his eyes glazed over.” I’m not a YA reader but I thought it was a good story and it kept my interest. This novel was originally written for people at all ages, but it was published as a YA novel. It is the first book ever written by Carlos Ruiz Zafon, and it is a ghost story! All of the above-mentioned reason made me curious to read it and see if it would scare me as much as I was hoping for. Having now read it, I have to admit that while it was a good enough story, it was also quite predictable, and it didn't scare me at all. I'm not even sure that it would've scared me when I was younger, just This novel was originally written for people at all ages, but it was published as a YA novel. 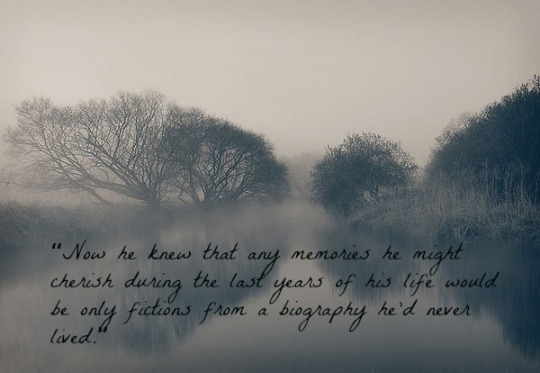 It is the first book ever written by Carlos Ruiz Zafon, and it is a ghost story! All of the above-mentioned reason made me curious to read it and see if it would scare me as much as I was hoping for. Having now read it, I have to admit that while it was a good enough story, it was also quite predictable, and it didn't scare me at all. I'm not even sure that it would've scared me when I was younger, just because it contains so many of the scary elements that you are used to in horror fiction. Wow, I am NEVER. EVER. going to watch Paranormal Activity. So yeah, it's creepy. As soon as the creepiness is explained, I was fine, so it really was just a few early scenes, but I'm an anticipation person and the unknown creep Wow, I am NEVER. EVER. going to watch Paranormal Activity. So yeah, it's creepy. As soon as the creepiness is explained, I was fine, so it really was just a few early scenes, but I'm an anticipation person and the unknown creeps me out. Anyway, it's a translated book, and that occasionally shows with awkward turns of phrase. But there are also some really lovely phrases that impressed me so much that I had to grab a pen. Really beautiful writing at times. I liked that this combined a nonspecific location with historical fiction and the paranormal element. There's a lot going here. And I'll put it on my maybe booktalk list for next time I hit the middle schools. Max. I’ve been acquainted with a lot of Maxs recently and I have to say… it’s a good name. Beach houses. Roland. Alicia. Cats in wardrobes. Genuinely creepy. Beautiful writing, seriously 3.5 stars. Death of a Clown by The Kinks. People who love beautiful, atmospheric writing. People who don’t mind a lot of some unanswered questions. People who don’t look at statutes and immediately think “Oh my god, is that going to come alive when I turn my back?”. People who aren’t afraid of boats/clowns/clocks. People who aren’t scared of that Dr Who episode (Blink,is it?) that I haven’t seen but my friend told me about... urgh. People who are quite happy to paddle in the sea as opposed to diving amongst ship wrecks on their jollies. I stumbled upon this book at my daughter’s school library thinking that it might be fun to read a magical, adventure story. Yes there was magic and adventure, but it also had one of the scariest and horrific sounding ghost that truly frighten me. I felt sensations that I hadn’t felt in years. Reading this sent shivers up my spine, put goose pimples on my arms, and it had me screeching like a little girl. The book starts at a nice steady pace when Max Carver’s father decides to move his wife and t I stumbled upon this book at my daughter’s school library thinking that it might be fun to read a magical, adventure story. The book starts at a nice steady pace when Max Carver’s father decides to move his wife and three children from the city to an abandoned seaside beach house to protect his family from the ongoing war. But as Max and his family arrive at their new town and home, he notices some peculiar things are starting to happen. Clocks that seem to move backward, that feeling of someone breathing on your face, voices only children can hear, and circus statues that change shape and positions. The house itself has a devastating history, and Max being a curious young boy starts snooping around. It almost felt like he had woken or disturbed something. As time goes by the pace does build as the Carver children and their new friend Roland struggle to defend themselves against payback from this dark sinister entity. Like Mr Zafon’s previous books (Shadow of the Wind, and Angels Game) he has a knack of creating this eerie, gothic atmosphere, but at the same time is beautiful. At the beginning of the book Mr Zafon said it was aimed at young reader, but would also appeal to all ages. Well I think he has achieved it. I personally thought it was wonderful, and I would recommend it to ages from 12 years old onwards. The latest of Carlos Ruiz Zafón's works to be translated into English is also the first book the author had published. It was originally intended for teenagers, but this edition is clearly being marketed towards the author's adult fans; it has the same cover design as his adult titles, and a preface explains that it is designed to be enjoyed by readers of any age. I didn't go into this with high expectations, and I expected it to be kind of immature, but I still found it very disappointing. The s The latest of Carlos Ruiz Zafón's works to be translated into English is also the first book the author had published. It was originally intended for teenagers, but this edition is clearly being marketed towards the author's adult fans; it has the same cover design as his adult titles, and a preface explains that it is designed to be enjoyed by readers of any age. I didn't go into this with high expectations, and I expected it to be kind of immature, but I still found it very disappointing. The story begins promisingly. A young boy, Max, moves with his family from the city to a seaside town. He quickly learns that the previous owners of his new home were dogged by tragedy, and on top of that, he finds a sinister walled garden full of statues in its grounds. He's particularly spooked by a clown statue, and during his exploration of the garden, he notices that this figure appears to have moved slightly since his arrival, changing its pose to a beckoning gesture. (Great detail - would have scared me as a child.) He then befriends a local boy called Roland, who takes him diving around the wreck of a sunken ship; and from Roland's grandfather, the only survivor of the shipwreck, Max learns the story of the nefarious Cain, the Prince of Mist. The stage is set for a chilling tale about a ghost ship, a powerful villain, mysterious disappearances and so on - technically, this should make a fantastic spooky story. However, the book soon begins to get quite silly and more and more plot holes and unanswered questions pop up, until it all becomes totally unbelievable and rather boring. For instance... Who or what is Cain and how has he attained his power? How do he and his troupe turn themselves into statues and why is this the only way for them to survive the sinking of their ship? Is Cain's cat meant to be a manifestation of him, and if so, how can he also be the statue, and if not, how did it alone survive the disaster intact? (The whole 'evil cat' thing is such a boring cliché anyway, and really put me off from the start.) If 'Jacob' was old enough to be filming with a video camera alone prior to his change of identity, how on earth can he not remember anything before his parents' death? I KNOW you can't expect a young adult book to explain everything exhaustively, but when I think of the detail and care so obviously put into the better examples of children's literature I can call to mind, that isn't really an excuse for the plot to be SO underdeveloped. Book 21 of 2018 : "The Prince of Mist " by Carlos Ruiz Zafron. This has been sitting on my shelf for a very long time .It was bought during a period when I was overwhelmed with "The Shadow of the Wind" and wanted to read all of Zafron's work. This is his debut novel and the writing shows that ,but it is still a good read for middle grade and it is not a surprise that it was initially published as a YA novel. The story is horror based and reminded me of IT .We have a group of kids trying to kill an Book 21 of 2018 : "The Prince of Mist " by Carlos Ruiz Zafron. The story is horror based and reminded me of IT .We have a group of kids trying to kill an ancient evil which is thirsting for revenge . Nice little story, although I wonder if it has enough excitement to satisfy young'uns raised on the Harry Potter series. This was Ruiz-Zafon's first novel, originally published in 1992, so don't expect the depth and genius of The Shadow of the Wind. Still, there are a lot of elements I think will appeal to kids: the weird cat, the sunken ship, the old film reels, the clown (somewhat reminiscent of Stephen King's Pennywise). The first half of the book is fairly ordinary. I kept wondering when it Nice little story, although I wonder if it has enough excitement to satisfy young'uns raised on the Harry Potter series. This was Ruiz-Zafon's first novel, originally published in 1992, so don't expect the depth and genius of The Shadow of the Wind. Still, there are a lot of elements I think will appeal to kids: the weird cat, the sunken ship, the old film reels, the clown (somewhat reminiscent of Stephen King's Pennywise). First of all, this book is labeled YA but it reads like a middle grade book. Other than one scene in which the main character spies on his sister and sees her making out with a boy, the whole book is written for a younger audience than YA. And btw, I'd probably call it 2.5 stars. And yes, as some of the negative reviews say, this book is full of plot holes. Big ones. Things that should have been explained, but never are--like how the statue garden came into existence. It drove me NUTS that I neve First of all, this book is labeled YA but it reads like a middle grade book. Other than one scene in which the main character spies on his sister and sees her making out with a boy, the whole book is written for a younger audience than YA. And btw, I'd probably call it 2.5 stars. And yes, as some of the negative reviews say, this book is full of plot holes. Big ones. Things that should have been explained, but never are--like how the statue garden came into existence. It drove me NUTS that I never found out. That said, the concept is actually pretty cool. And I did like/connect with the main character. The others not so much, but yes, the main character, which is important. FYI--the way I rate books, 3 stars means the book was "okay" and that I did finish it, but it wasn't a story that really impressed me. So, you notice I dropped the rating for this one a little lower, even though I did make it to the end. My big gripe was that the plot had SO much potential--opportunity for the main character to really sleuth things out--but basically it was him going from person to person and being told stories, but incomplete ones and he would get frustrated then go back and ask the person for more information. The only thing he actually did discover truly on his own was something I had figured out very early on (and, btw, created another big plot hole). Moving unto The Midnight Palace by Mr Zafon I'm hoping to finish most of his works by the first week in April. Mais uma vez, Zafón brinda os seus leitores com uma história misteriosa, cheia de cinzentismo, e com algum terror à mistura. Esta mudança drástica não é do agrado de Max, mas quando descobre um jardim de estátuas atrás da sua casa nova, sente que um grande mistério está por detrás delas. E começa a sua investigação. Tudo se adensa quando se descobre o que está por detrás de toda a história dos antigos proprietários da casa: o filho do anterior casal morreu afogado e nada voltou a ser como antes. Procurando integrar-se com a população local Max e a sua irmã mais velha vão conhecer o jovem Roland que aumenta ainda mais o mistério do livro, porque é através desta personagem que vai surgir o Príncipe da Neblina. Apesar de ser um livro virado para a camada mais jovem, gostei da narrativa simples, fluída e interessante que transporta os leitores menos jovens para essa altura das aventuras, dos primeiros amores, dos sonhos dos navios abandonados e dos tesouros escondidos. Carlos Ruiz Zafon never disappoints me when I'm looking for a good story!!! Lo siento, porqué me encanta en escritor, pero me he aburrido mucho y me a parecido previsible y la historia un poco sin sentido. Tiene alguna parte que doy por buena pero en general me a dejado indiferente, creo que porque es juvenil y yo a pesar de que soy adolecente se me quedan cortos. I really liked this book-it was mysterious,interesting,with great twists.I loved the characters,the story,and that ending...oh,man. But seriously,I really enjoyed reading this,mainly because the story was very captivating,I just had to find out what will happen next and what is the truth about Orpheus and the Prince of Mist.Also,this book doesn't contain a love triangle or an irritating main/supporting character. Lectura juvenil de la mano de Carlos Ruiz Zafón. Libro corto y entretenido que merece la pena leer. Yes people exactly this is the main issue with me whenever I pick up a Zafon novel. Most of the time this thing happens in the reverse. Like if you have read an author for the first time and you hated the book then I bet you will ever give the author any chance soon for your readership of his/her next book. But not here. I adore THE SHADOW OF THE WIND so much that I expect the same perfection from every book of Zafon which is wrong. I rate this book between 3 and 4. It has a good plot and the same gothic mysterious writing style I admire. It's basically a horror historical fiction for children but still I expected more from Zafon. The characters aren't well built, the mystery is not explained well and the end looked to me a bit rushy. Maybe because this was Zafon's first book because he got better in his later books. Si no cuentan los días que estaba en exámenes, sería el libro que he leído más rápido en estos días. Sí, la universidad quita tiempo. Carlos Ruiz Zafón, aunque es su primera obra si no me equivoco, es capaz de crear un escenario tan creíble para el lector. Toda la vida admiraré su prosa. Además, en este libro, introduce algo de suspenso que, evidentemente, está muy bien planteado. Le iba a dar un puntaje de 3.5 porque sentí que los momentos del bote fueron más largos que los de suspenso. Sin embar Si no cuentan los días que estaba en exámenes, sería el libro que he leído más rápido en estos días. Sí, la universidad quita tiempo. No sabía que esperar de este libro porque no sabía de lo que trataba ni había leído nunca nada de Ruiz Zafón. Ahora, después de acabarlo, puedo decir que me ha sorprendido mucho y para bien, y que pienso leer todos los libros de este autor. A pesar de que es un libro corto, presenta muy bien a los personajes, a los que acabas cogiendo cariño (o todo lo contrario). Está lleno de sorpresas y a pesar de no querer acabarlo no podía parar de leer. Estoy deseando poder empezar la segunda parte para ver No sabía que esperar de este libro porque no sabía de lo que trataba ni había leído nunca nada de Ruiz Zafón. Ahora, después de acabarlo, puedo decir que me ha sorprendido mucho y para bien, y que pienso leer todos los libros de este autor. Não poderia ter corrido melhor a minha estreia com os livros de Carlos Ruiz Zafón. O mundo fantástico da Zafón faz-nos mergulhar numa aura e ambiente de suspense e mistério, com apontamentos de terror à mistura. Como siempre Ruiz Zafón no decepciona con su escritura, sus descripciones, su poesía, y yo me declaro una fanática. La historia me cautivo de principio a fin. Una novela pseudojuvenil, fantástica, diferente y bien escrita. Me dejó con sabor a poco el final, me faltó un giro de tuerca. Es recomendada por supuesto, siempre vale la pena (no tan pena), Carlos Ruiz Zafón.